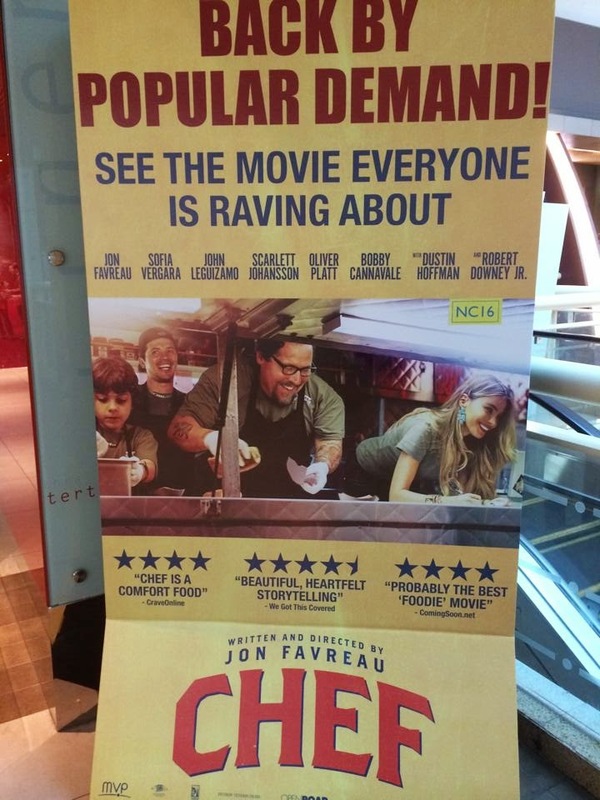 Finally, managed to watch the long pending movie, Chef. (One down from my Movie Watch-List). Thanks to the "Popular Demand", Golden Village brought back the movie to normal screening time slots. It is a very heart-warming and inspiring movie. If you are a foodie, all the more you must watch it before it lasts! Directed and acted by Jon Favreau with Sofia Vergara, Scarlett Johansson, Dustin Hoffman and Robert Downey Jr. (cameo). It is definitely one of my best and most inspiring movie of the year. The plot is simple and down to earth, I can cover it within a sentence : A famous chef (Jon Favreau) losts his job and found his true happiness through food truck and along the way reconciled with his ex-wife and only son. Doesn't sounds like an exciting story right? Wait till you watch the movie, you will notice the heart and soul that they have put in. My key take away from the movie is : your energy/motivation came from your passion. In the movie, Carl Casper (the chef) is very serious about his food (there is one scene whereby he is giving a lecture to his son when the latter intended to serve an over-cooked Cuban sandwich to some guys that they are giving out free. To him, he only care about serving the perfect Cuban sandwich). So, to be successful in investing, we must be passionate about it too. The passion to learn more about anything and everything related to investing, the passion to continue even after failure(s) or mistake(s). So, if you are into the game with "three minutes heat" (三分钟热度), the odds is against you to be a successful retail investor. The movie is still screening in the big screen, if you are a foodie, do consider giving it a shot, trust me, you will not be regretted. How to be passionate when one keeps losing money in the stock market? One day will chop fingers. Don't believe. Check with your old relatives.